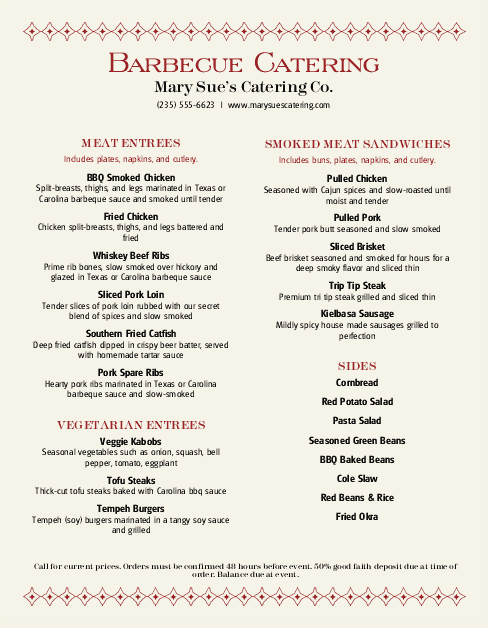 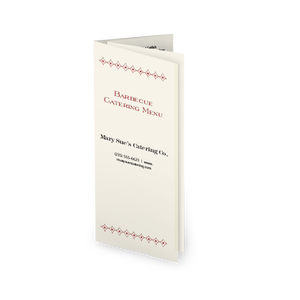 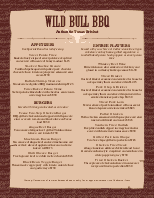 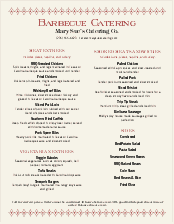 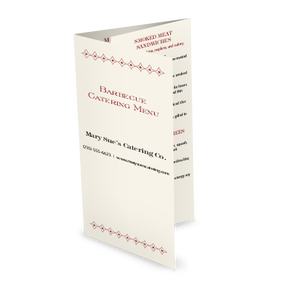 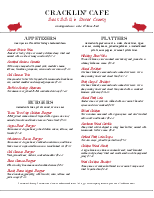 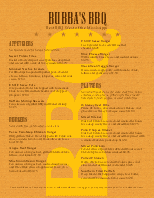 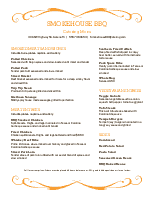 Perfect for any type of event or party, this barbecue catering menu is presented on a beige 8.5 x 11 page and decorated with red star symbols. 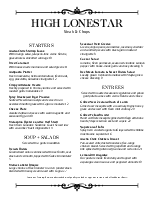 Two columns provide room for party dishes, like smoked vegetarian meals and smoked entree choices. 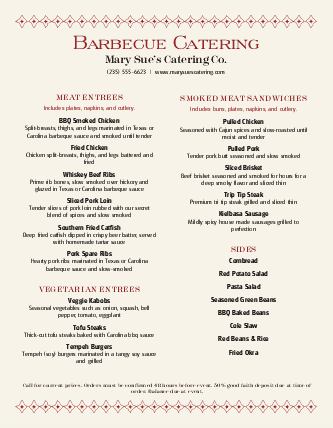 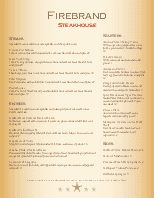 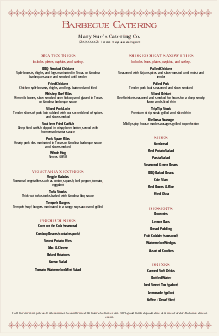 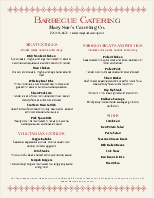 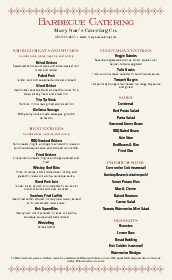 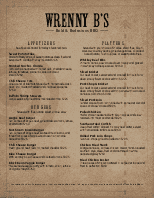 This catering menu can be updated online using the Menu Editor.